Believe it or not, one raw garlic clove, finely minced or pressed releases more flavor than a dozen cooked whole cloves. When garlic cloves are cooked or baked whole, the flavor mellows into a sweet, almost nutty flavor that hardly resembles any form of pungency. This nutty flavor makes a surprisingly nice addition to desserts, such as brownies or even ice cream. 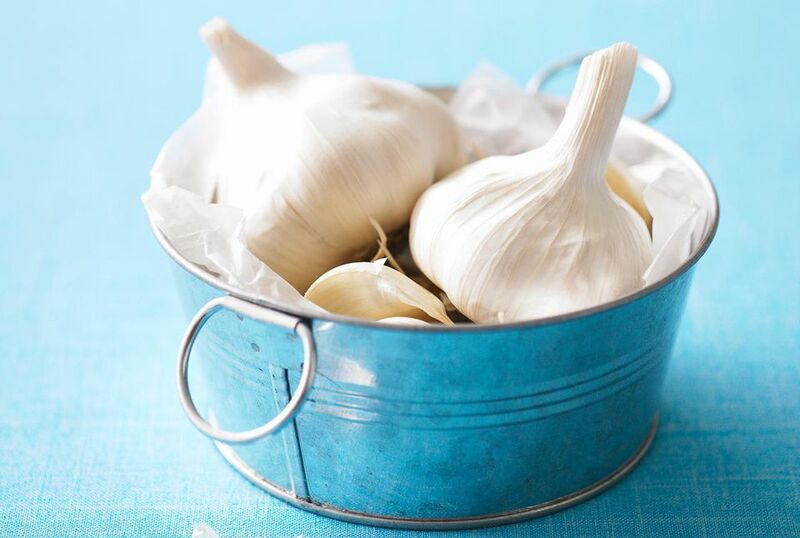 Cooked, whole, unpierced cloves barely have any aroma at all, while raw garlic is the strongest in flavor. When sauteing garlic, be very careful not to burn it. The flavor turns intensely bitter, and you'll have to start over. There are a myriad of garlic presses available on the market, but I personally prefer the . This is the queen of all garlic presses in my humble opinion, and although it may cost you $10-15, it is virtually indestructible, as well as a pleasure to use and clean. If you have a good garlic press, you don't even need to peel garlic cloves before pressing, which can be a wonderful time-saver. Just place the unpeeled clove in the tool cavity, press and discard the skins left in the cavity. An easy rule of thumb to remember regarding the potency of the flavor of garlic is: The smaller you cut it, the stronger the flavor. Chopping finely and/or pressing a clove exposes more surfaces to the air, causing a chemical reaction to produce that strong aroma and potent flavor. • Why does garlic smell? What Are Herbs, and How Are They Different From Spices?